Surrounded by stunning vistas and age old traditions Novo Fogo is expertly concocting Brazil’s national spirit. Their zero-waste distillery is nestled in the heart of the largest protected patch of the Atlantic Rain Forest of Southern Brazil where the mountains meet the sea, and is organically certified by the USDA. This timeless South American booze is made from freshly-pressed sugarcane and reflects both the location and the essence of the costal rainforest with vivid and diverse tropical flavors like banana, lime blossom, coffee and sea salt. The juice from the pressed sugarcane, which is the foundation ingredient, is about 15% sugar and the resulting spirit is sweet, vegetal, and slightly savory. 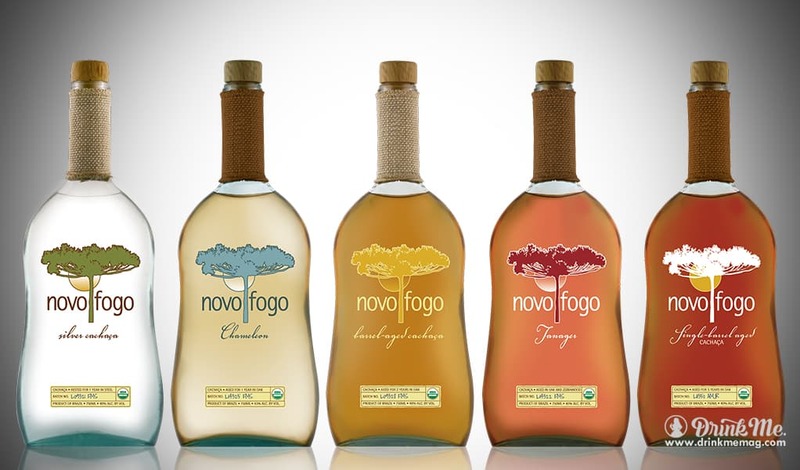 As a cocktail ingredient Cachaça has been praised as both healthy and versatile and can be blended into a variety of seasonal favorites from spritzers to ciders. Embrace the flavors of Brazil and Novo Fogo’s mission of craftsmanship and sustainability.